All Sorts of Colors | Yobot Inc. I love licorice allsorts. For those of you who don’t know about this delicious candy, it’s from England, and is various types of black licorice, in a colorful, fun assortment. Bassetts Licorice Allsorts. This is my mom’s favorite candy, maybe because she is from Canada…it seems to be a very big candy in Canada. Maybe that’s why I love it so. We used to get it at the K-Mart, and eat it on the way home from the store. 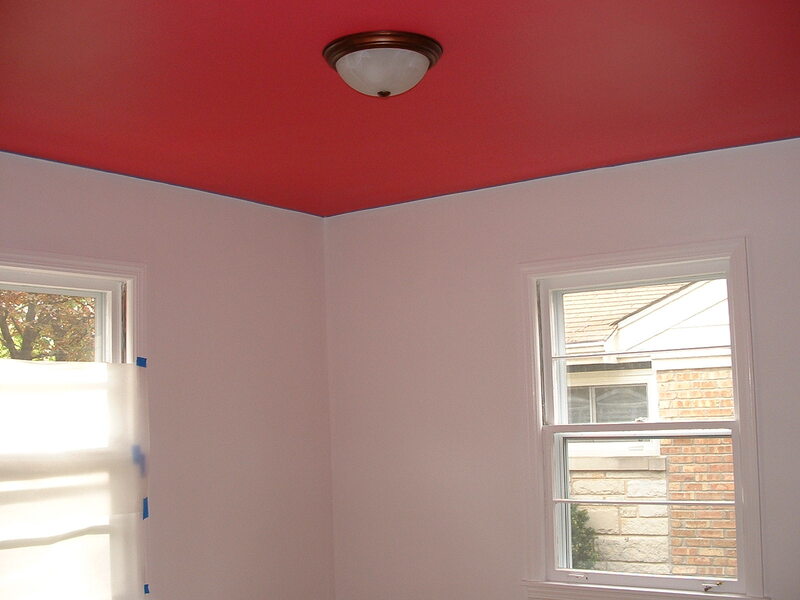 I decided that I wanted to paint my new home office space like Licorice Allsorts, so I went with a bright pink ceiling, white walls, and black trim. Well, sort of. Yes, there is still blue painter’s tape around the room in this picture. We have since removed that. There is still a lot to do to this room: We still need to buy some simple crown moulding, and paint it black, and attach it to the walls near the ceiling. And we can’t paint the trim around the windows yet because the windows were all painted shut, we cannot get them open, so no use painting window trim until a solution is found. We did paint the baseboards black, though, and they look lovely. And I’m painting one wall with magnetic chalkboard paint, which should be cool and functional for the office. But I love the ceiling color, it makes me happy. Although it does make everything in the room vaguely pink. It’s like looking through the world with pink-colored glasses. 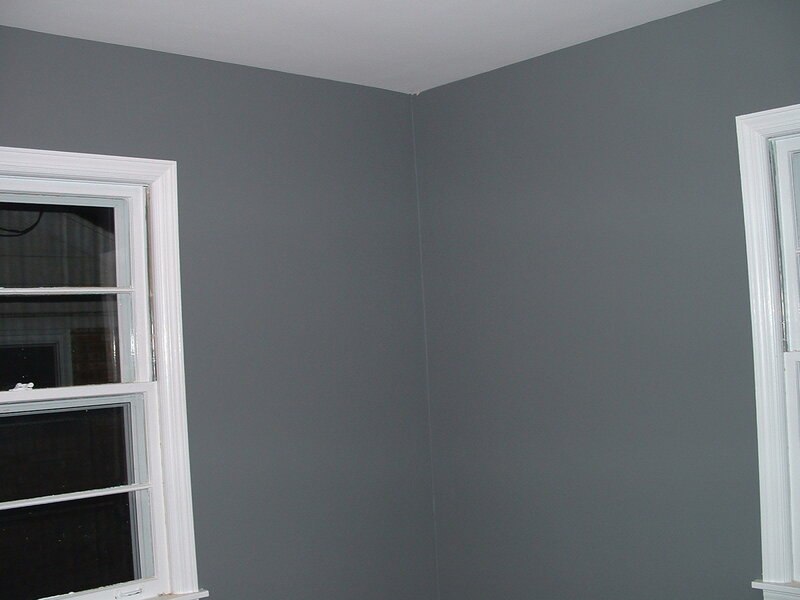 It is a soothing gray color, and will be a nice home office environment. And he won’t have to look at the pink ceiling. I’m kinda envying the magnetic paint tho’.